This eBook breaks down the requirements for Directors at both the district and state level. See how LEA sizes affect experience needed for Director roles. One of the most important parts of food handling is understanding food safety! Get an understanding of how to receive training and be certified for training requirements. Learn how to take steps that help your employees see training as something that they want to do, rather than something they’re being dragged into doing. 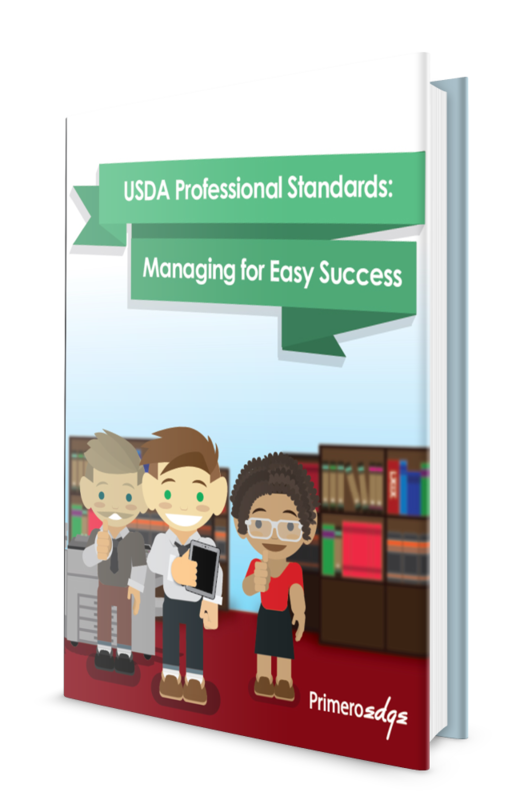 Learn about USDA codes to track training and free Professional Standards software to make tracking a breeze! Success during the administrative review process willl be simple if you follow all the tools and tips within this eBook.